Open "Assassin's Creed - Revelations" >> "Game" folder, double click on "Setup" and install it. 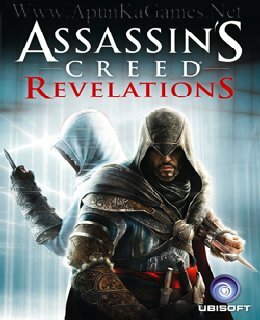 Double click on the "AssassinsCreedRevelations" icon and let it download the files (it is the patch). After that, Right-click on 'ACRSP' and click "Run as administrator". When it asks for username type "SKiDROW" and 'SKiDROW' in password also. The finally click play and enjoy the game. Done!